Blogging Jargon – what the blog is that? What on earth does that mean……..????? I confess, I was not born to be a natural around computers – or anything electronic. My learning curve has been steep and substantial as I have been getting to grips with everything to do with blogs, Search Engine Optimisation, WordPress and web pages. Who invents the names for all these things anyway? So for all of us out there who just want the blogging jargon to be explained simply, I have created my own index that I am happy to share in the hope it will protect our sanity! It’s a long post but stick with it – blogging jargon takes time to explain! 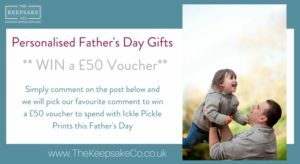 For other hints and tips visit us here at The Keepsake Co. Alternative text/tag or attribute – This has lots of common names and all mean the same thing. When you insert an image into your blog you will have the chance to fill out the ALT box. You should explain what the image is. This will help Google or the reader know what the image is if it can’t download it. Anchor text – Used to anchor a URL (see below but basically the web address) to some text on a web page. When you see a highlighted bit of text – a link – on a page that takes you to another web page that’s known as anchor text. Article – Article and blog “post” are frequently used together. Avatar – a photo, graphic or image that represents you across blogs and the social-network. Blog – A piece of writing most often linked to a web site. Note: You should always have a call-to-action to ensure your blog is also generating leads. E.g – follow the link here to leave your details…..
Blogroll – A blogger’s list of the blogs they follow and would recommend. Category – When you are posting a blog, you will be given the chance to put it into a category with primary category being the top one. You can also have tags which are lower classifications that may encourage Google to bring up your blog if someone is looking for words that are in your tags. For example a blog about Apple Pies may have a category of baking and a tag of pies. CMS or Platform – This is content management system. It is a software program (platform) that allows you to add content to a website more easily. Blogger is a free platform for bloggers. Directory – A blog directory is a website that lists blogs, usually ranking them by their popularity and ordering them by subject or category. You can register for your blog to be included in directories. Favicon – This is the small graphic/picture , typically your logo or other identification for your website that appears in a browser’s address bar to the left of your web address. Feed – This is a news feed to give you updated content. Header – This is the top part of your blog. Headers generally include items such as logos, taglines, and navigation menus. Hyperlink – this is the bit of text that when clicked on takes your reader to wherever you have set the link to. E.g https://www.createyourwaytosuccess.com/ In this case you highlight the text (anchor text). You then click on the sideways figure of 8 on your toolbar to bring up the “link” box and then go to your browser bar and highlight the web address you want to insert. You go back to where your link box is and paste the web address in there. It is better visually you don’t simply put a link as “https etc” as displayed above. It is much better to have Create your way to success. HTML – This is short for Hypertext Markup Language, the language used to write web pages. Most HTLMs are written with a start tag and an end tag, <with content in between>. I know – who invented that one?! Index(ed) – The process by which search engines find your content and then make it available to readers. Search for your web page – if it comes up, it has been indexed. Just like a keyword but longer and more specific e.g silver charm fingerprint jewellery. Quick note here – keywords are generally important! You are half way through! Well done for staying with it – your blogging jargon vocab will be much improved! Meta Description – This is the intro bit that shows up alongside your title when Google displays it on its search page. Your software may prompt you to write a meta description or it will just show the first couple of sentences of your post. Your description should be a short description of that particular page or post. It’s a great opportunity to really entice the reader to click on your post and read it in full. A good description is approximately 2 sentences (no more than 150 characters) using your target keywords, to encourage a reader to want to visit your site. Meta Tags – A comprehensive term that is comprised of meta titles, descriptions and keywords. These three items together are what are referred to as meta tags. The tags provide information about a page, most often to help search engines categorise them correctly. Meta Title or Page Title – This is the phrase that shows in the blue bar at the top of your web browser when the page loads. No follow – A link attribute which prevents links from being followed by search engines. As a result no SEO credit gets passed from one page to another. Permalink – An address or URL (see url below) of a particular post within a blog. Redirect – Used to specify an alternative URL and in order to redirect the user (or search engine) to a different location. If the original page has been renamed for example you don’t want to lose potential customers so this Redirect will give people the new details. Just like when you move house and redirect your mail. SEO – search engine optimisation. When you write something – a content page or a blog, you can use software to optimise it. This gives you much more of a chance of being listed. We use WordPress as our software. You write your piece onto your web page and WordPress will guide you to optimise it. In it’s simplest form you fill out boxes detailing your keyword and are then prompted to make sure your keyword appears enough times for Google to consider it a relevant piece. You will be prompted to include images with ALT tags and to include links. The length of your post will also be considered along with how well it “reads” – are the sentences too long, too complicated etc. Once you have all the green lights your piece is optimised! .XML Sitemap – A file you can use to publish lists of links from across your site. This is easily generated and there a lots of free tools out there to help you generate this sort of file. Tag or Tagging – A tag is a bit like a category in that it is another way of classifying blog post. It is a word/s that help define what the post is about. See above in category. URL – This is short for Uniform Resource Locator. It’s basically the address for anything found on the web. Your web address for example. Widget or Module – Usually on the left hand side of your web page, showing links, call to actions and other resources. The End! I am not claiming that this list is exhaustive – in fact there are hundreds more blogging jargon terms for you to get to grips with if you wanted to. But for me, at this stage, these are the blogging terms and techy words that I come across most often. I hope you have found it useful. Click here to see our Top 10 Tips for Blogging.